From a very early age, children will start to exhibit some common fears and anxieties. This is not only normal, but it can also be a good thing. 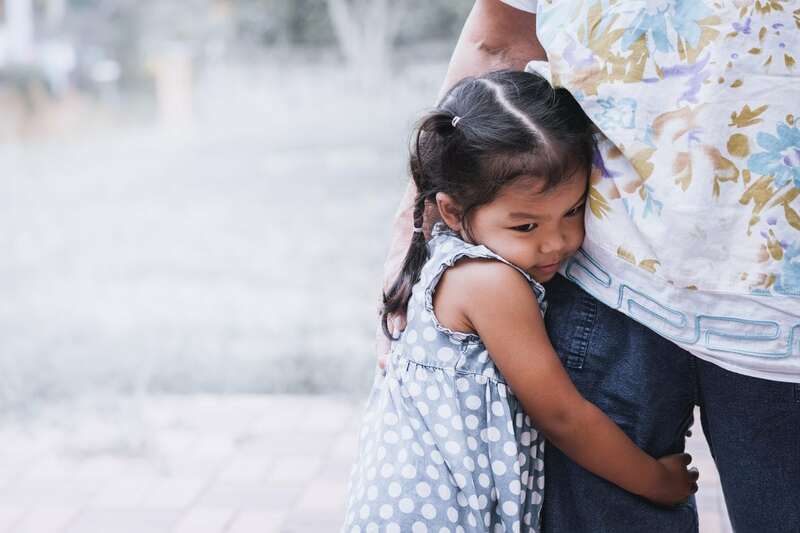 Fear can help children to behave in a safe way, and handling fear and anxiety in a healthy way will help prepare your child to manage bigger fears as they get older. In this post are some of the most common childhood fears and some tips on how to help your child manage these fears in a healthy, safe way. As parents, it is our job to make sure we understand that the fears our child is facing are normal and natural. It can be hard to know how to help our kids deal with those fears. Below are some ways we can help our kids build the confidence they need to face, and ultimately, conquer (or at the very least manage) their fears. 1. Acknowledge that the fear is real. Let your child tell you about his/her fear and talk about it with them. While it might seem trivial to you, your child’s fear is very real and causes them genuine anxiety. Talking about their fear with someone they love and trust can take a lot of the power of the fear away. 2. Don’t belittle the fear. You may be tempted to say something like, “That’s silly. Thunder can’t hurt you.” While, logically, this is true, this kind of belittling of the fear is not helpful for your child. Belittling the fear won’t make it go away and your words may even make your child feel ashamed for feeling the fear, which is adding insult to injury. 3. Don’t make it worse. Another knee-jerk reaction we may have as a parent is to avoid the thing that causes the fear at all cost. For instance, if your child is afraid of dogs . Say you’re walking down the street as a dog is approaching. Crossing the street to avoid the dog just reinforces the idea that a dog is to be feared. Instead, perhaps try taking your child’s hand, encouraging them gently that you’re here with them while assuring that there’s nothing to be afraid of, and help your child walk past the dog. There are several coping strategies you can implement to help your child manage or conquer their fear. You can designate yourself as “home base”. Let the child approach the thing they’re afraid of at their own pace, but run back to “home base” when they’re feeling unsure. Or you can teach your child to use positive self-statements. For example, “I can do this” or “It will be okay” as they’re working through an anxiety. Some parents also teach their child how to use visualization, deep breathing, and prayer to work through their particular anxiety or fear. Most of the time, kids will grow out of their childhood fears. As they get older their understanding of the world around them becomes more focused and sure. However, teaching your child how to cope with their fears while they’re young will certainly come in handy as they become young adults with even bigger, badder fears. Understanding your child’s fears and helping them learn how to overcome them will help them better deal with all kinds of life situations.